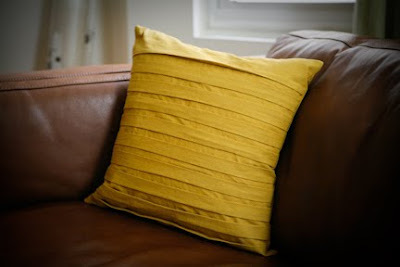 I finally finished up my pleated pillow yesterday and wanted to show you how I made it. Then I attached the zipper using this tutorial and 1/2 inch seam allowance. Now the back piece should be square. On the two long sides (starting 2 inched from the top and bottom) I measured every 1/2 inch and put a small mark in the seam allowance. This will make 1 inch pleats. 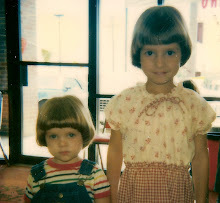 If you want smaller or larger pleats you will need to adjust accordingly. Now the tedious process of ironing out the pleats. I used a lot of pins and a lot of steam to make them as visually perfect as possible. Keep pleating until the front piece is square and the same size as the muslin lining. 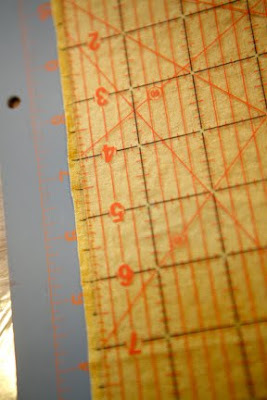 Pin the back of the front pleated piece to the muslin matching corners. 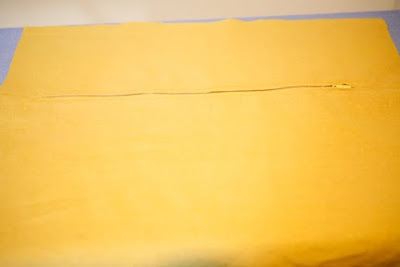 Lift up each pleat and top stitch the front linen to the muslin close to the fold. 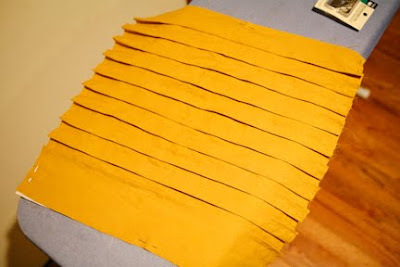 Once the pleat is lying back down you should not be able to see this stitching. 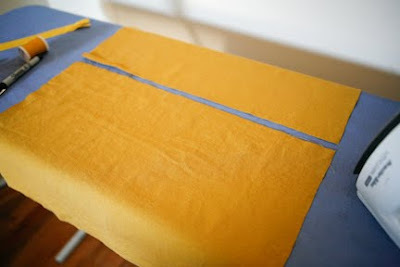 It will keep the pleat folded even when the fabric is pulled taut and filled with a pillow. 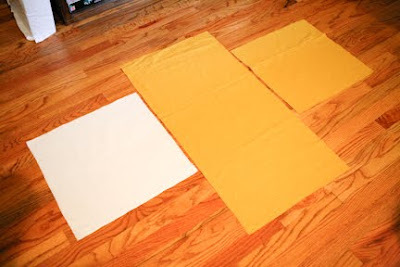 Now the Muslin should be attached to the front and the front and back pieces should be the same size - 18x18inches. Open zipper. Pin right sides together. 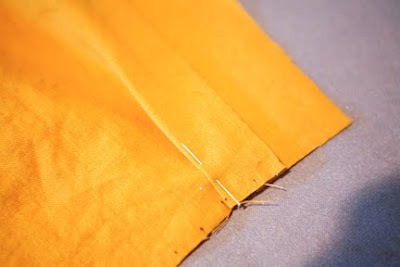 Stitch all 4 sides at 1/2 inch seam allowance and clip corners. Turn right side out. Press. Insert pillow. And now you have a gorgeous new pillow at a fraction of the cost. It looks great. Thanks for the tutorial. Next time I need a pillow, I want to try one like this. That is really cool! I had to make my pillows by trial and error ((I made them a few years ago!)) but this would have been handy! I really like the pleats, and I think I have some spare cushions lying around! That pillow is lovely!! The pleats add interest without being too overwhelming. This. Is. So. Cute. looooove it. Really nice. So simple and yet very lovely. This tutorial has been very helpful..and I have enjoyed practicing with it. Wow. This is a stunning pillow! Hey - stopping by from All This Penny - and really like this pillow case. Must keep it in my ideas file and recreate. Looks fab! Thanks for the tutorial - I just finished using it to make my own pillow and it turned out great! 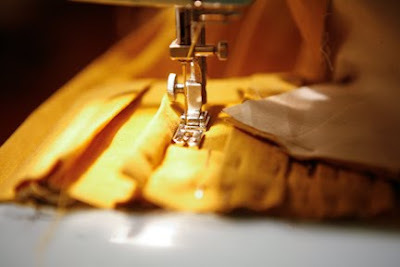 I've always avoided zippers because I didn't know how to sew them, and it was intimidating to me. Your tutorial was super easy, and my pillow turned out great! Thanks for sharing your tricks. 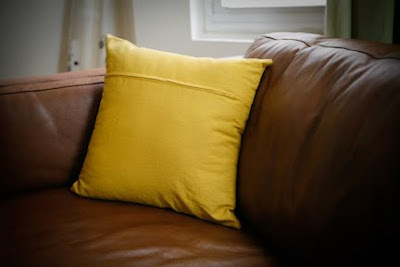 This is a gorgeous pillow, and what an easy to follow tutorial! 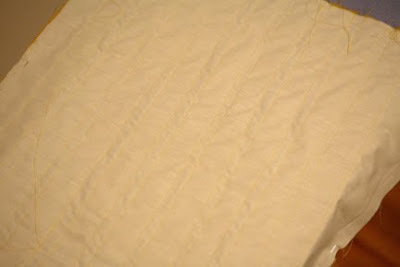 Do you think instead of muslin, you could just iron interfacing to the back of the pleats to keep them in place? ooh (i found you through how about orange as well) and glad i did. love this idea....regular pillows are so boring! love the idea of adding a little intrigue with the pleating. Walk-In Closets. Large or small, a walk-in closet is a room all its own. A high-quality door and drawers, installed accessories, finishes, lighting, and layout options create a custom-designed and organized space that is a joy to use every day. If you don't feel so handy with tools and have the budget, you can get a closet storage system professionally installed. An average pro-installed walk-in closet costs about $1,200 to $3,000 or more for materials and installation, but their expertise and experience can help you avoid costly mistakes in the long run.